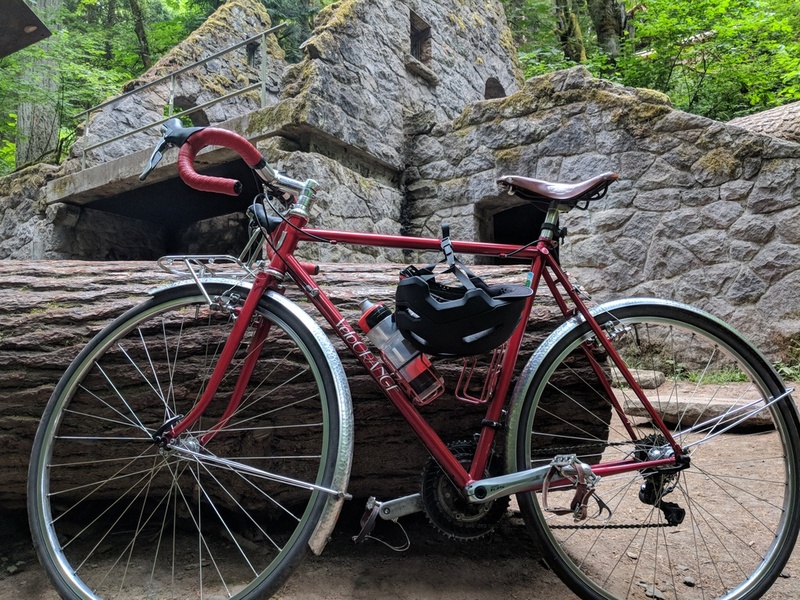 We've been back in pdx for about 16 years and I had not yet made it out to the Witch's Castle in Forest Park. So I decided to do that on Monday. I can't really say that I recommend it on a road bike, but it was mostly fine. I couldn't ride about half the trail, due to the rocky/steep/slippery/muddy nature of a trail in a park...but it was quite ok early on a Monday morning. Only passed about two other people on the trail (one hiker, one jogger). The trail dumps you out on Cornell, and then you get to take the lane and bomb maybe 2 miles downhill, including 2 tunnels. I didn't know the area that well, so I was fully clenched and expecting to fall/die. I didn't write this week's "I Anonymous", but not a day goes by that I don't think the exact same thing. Total pet peeve! !